Trevor -- Excalibur has been officially canceled as of issue #14. I know you can't discuss what is going to happen to Claremont, but what about Aaron, where is he going? 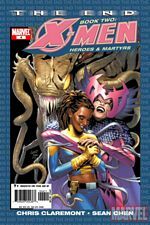 Marts -- The great Aaron Lopresti will be illustrating a five-issue stint on NEW X-MEN, which includes a HOUSE OF M tie-in (#16-19) and a special reunion issue (#20). Aaron’s been one of our best acquisitions from the now defunct CrossGen Comics. Trevor -- Thats is great to hear, one of my all time favorite artists teaming up with two of the best writers in the business. I think I need to ask Nunzio and Christina about their thoughts on Aaron's work. Nunzio -- Aaron is incredibly talented AND incredibly fast. That's a great combination in an artist. The funniest part is that he seems to think he's slow. The man puts too much pressure on himself. But it doesn't affect his art. It looks great. The kids look great, and wait until you see how Dani will look in the House Of M.
Mr. Marts the characters Wicked, Shola, and Freakshow were well received. Can we expect to see these characters in the future? Marts -- Not sure. All three characters are great Claremont creations and have been well-received, but with all that’s going on over the next half year it might be difficult to fit them in. Marts -- Sage has always been one of the most mysterious characters in the X-books…last we saw her in UNCANNY #454, she seemed to be getting reacquainted with her former Hellfire Club buddies. But is she for real? Which team does she truly play for? Can she be trusted? Expect the answers—and more questions, of course—later this year. Marts -- November will definitely be a time of change for the X-books. That’s all I can say for now. Marts -- The short answer is that this is Whedon and Marts, not Morrison and Powers. But in all seriousness, I think Joss, Claremont, Milligan, Joe Q and myself all agree with what Grant and Mark were saying in the X-Manifesto—we should always strive to be original in telling stories and avoid the mistakes we’ve made in the past. Characters’ deaths should be treated with the respect and dignity that they deserve. That being said, I don’t think we should limit ourselves to constrictive rules and box ourselves in to the point where a rebirth story is impossible just because we’ve “done it before”. Joss’s Colossus rebirth story was undoubtedly one of the best stories told in 2004—he handled it in unique fashion and when all was said and done there wasn’t a dry eye in the house—and very few who complained that a once-dead character had returned to life. Quite the opposite, the majority of readers were happy to see Colossus written and drawn “better than he had been in years”. Trevor -- In WEAPON X: DAYS OF FUTURE NOW will the fates of all those at Neverland, as well as, Chamber's escape from them be explained? Marts -- Pretty much so, yeah. Trevor -- Who can we expect to see in this mini series? Marts -- Oh, just about every mutant in the X-verse. Trevor -- Will there be any mutants that die as the solicits for August suggest? 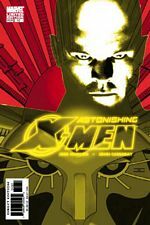 Trevor -- As the Ultimate line gets prepared to release Annuals come this August are there any plans in the works for the 616 universe's X-Men to have their own annuals once again? Marts -- Not at this point in time, no. Trevor -- What one X-Character would you love to see a solo book made of, but you just know it wouldn't sale enough to meet criteria? Trevor -- If you had to pick between Nick and Sean, your coeditors, which one would be R2-D2 and which one would be C-3PO? Marts -- Just like R2-D2 and C-3PO, both Nick and Sean are wise guys. I guess I’d have to make Sean 3PO and Nick R2—mainly because half of what Nick speaks comes out “bleeps” and “doots”. And like 3PO, Sean is tall. 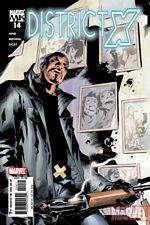 Trevor -- The X-Comics coming out on May 25th are Excalibur #14, NEW X-MEN HELLIONS #1, ROGUE #11, WOLVERINE SOULTAKER #4, X-23 #6, and X-MEN #170. Can you shed some light on these upcoming titles and give the fans what they want, a brief glimpse into what is going to happen?